The first pre-fabricated modules for the processing facilities at the INPEX-operated Ichthys LNG project have arrived. INPEX announced that the modules were unloaded on 29 June at Bladin Point near Darwin, Australia. Managing Director Louis Bon said the safe arrival of the first of over 200 modules was an important milestone for the Ichthys LNG project and marked the next phase of its onshore construction effort. “Much of the work we have been doing to transform Bladin Point has been leading up to this event – we have been setting the foundations to prepare for their arrival and installation at site,” Bon said. Bon praised the modularised approach to construction, which is now common in Australia, adding: “The Ichthys LNG Project’s onshore facilities were designed so that some elements would be modularised while others could be stick-built on site in Darwin. 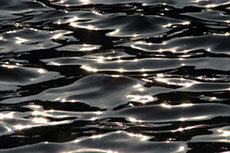 The Ichthys LNG Project’s pre-fabricated modules are being built at four yards in China, the Philippines and Thailand. Over the next 18 months, approximately 60 module shipments are scheduled to arrive in Darwin. 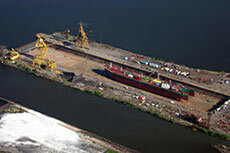 The largest modules can weigh over 6000 tonnes. The INPEX-operated Ichthys LNG project has announced a major milestone for its central processing facility. 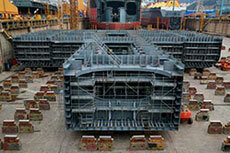 The Ichthys LNG project has laid the first block of the keel for its FPSO unit at the DSME shipyard in South Korea. 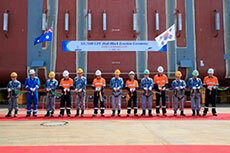 DSME has cut first steel on the hull of the FPS for the Icthys LNG prject, which will be operated by Inpex.